In addition to lack of seed starting, there is another consequence to my escaping the cold for health reasons: the loss of my marching through March with my piping and drumming brothers and sisters. While the temperature here in South Florida comfortably rests in the low 80s, my mind and spirit are with my band, which who has marched in two to three parades each chilly weekend — so far. This Monday, St. Patrick’s Day, they will parade up 5th Avenue in New York City — and for the first time in years, I will not. Here’s a clip from a few years ago — that’s me front row center. 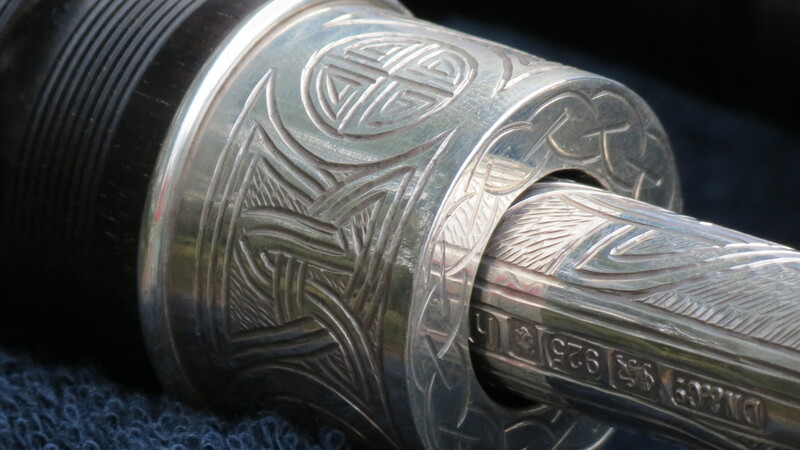 Watching it, I’m feeling a little green — with envy — that I can’t be there this year, and so I thought I would revisit a post which is as much a tribute to piping as it is to the band that took me in. March is an interesting time for gardeners. It’s the month when the first warm breezes begin to melt winter’s icy grip, when the garden begins to stir, when hints of green suddenly appear, when it’s time to get outside and get things ready for the gift that is spring. At least that’s how my March used to be until about five years ago, when my March literally became MARCH — as in parade. I’m a bagpiper and March is piping season, with each weekend devoted to at least two to three St. Patrick’s Day parades — making this St. Patrick’s Month. But as the first of the parades gets underway, March is also the time that I reflect on how I came to be a piper and how thankful I am that bagpipes entered my life. This post is that story. Learning to play a musical instrument was something that I always planned to do — you know, one of those bucket list things, something to do in retirement. My only previous foray into music was the violin in third grade, and that didn’t work out too well. There’s only so much plucking a kid could do. Yes, I thought, it would be great to learn how to play an instrument, perhaps something practical, like piano or guitar. Never bagpipes. 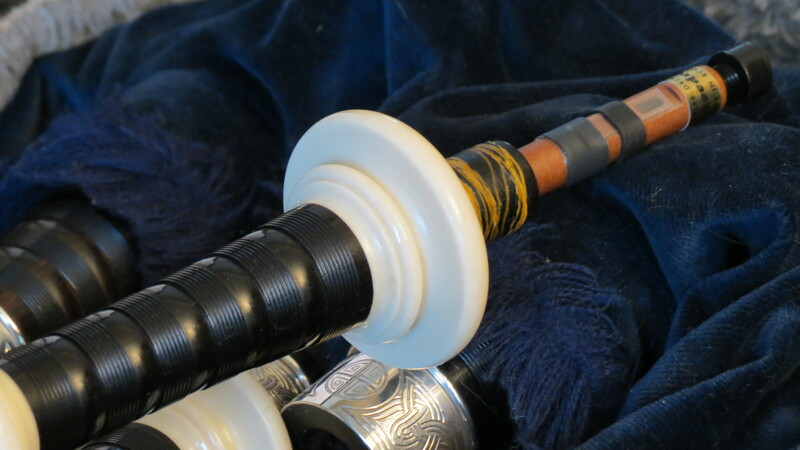 Which was really odd, since I’ve always loved the bagpipes — an ancient combination of wood and bag and reeds that manages to make a rich and powerful tone, one so resonant that it vibrates my inner core as well as the ground beneath my feet. The problem, however, was that I didn’t think of myself as piper material. My experience with pipers was limited. As the son of a firefighter, I knew that pipers always played at funerals, their mournful sound bringing people to tears. My other experience was my friend Michele’s birthday party. Her housemate at the time arranged for a piper play outside of her bedroom window, to force her eyes open and greet the celebration of her new year. Later that night, at the actual party, the piper made another appearance, in full regalia, instrument in hand. These few interactions had one thing in common: the pipers were all big, brawny, barrel-chested, uber-masculine men — adjectives that have never been used to describe me. In reality, nothing could have been farther from the truth. Instead, I found a ragtag group of people — men, women, young, old, retirees, teachers, salespeople, students, dental hygienists, insurance reps, computer programmers — who gathered in this hall for one main reason: to learn how to play bagpipes and/or drums. My teacher was 19 at the time, tatted and pierced and patient with his new student. Learning was the main reason for everyone to be there. Black dots on lines became notes, notes became tunes, tunes became ingrained. Through this process, though, other reasons to be here became apparent. Hobby. Tradition. Challenge. Brotherhood. Belonging. 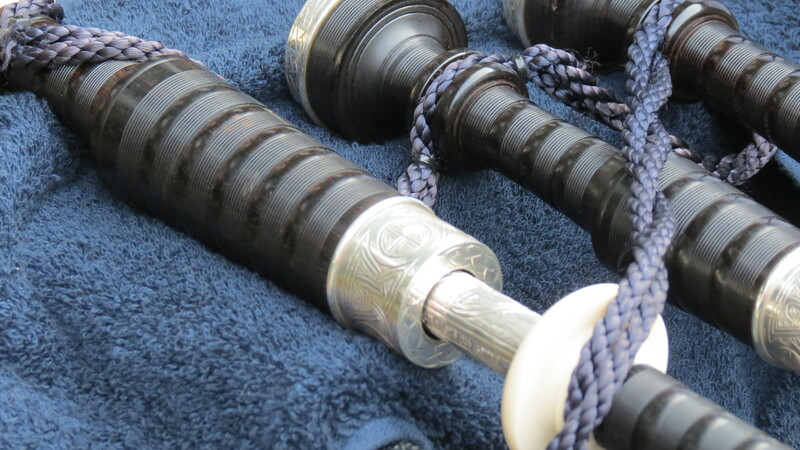 As the years have gone by, stereotypes have faded — not only of my initial image of pipers, but my fear that my being gay would be an issue for my Hibernian bandmates. Before coming out to the band, which was a natural and gradual process, I worried that they would reject me. I thought I had gone through this stage 30 years ago, but here I was again, struggling with the closet. The difference is that when I was younger, it was all about me. Now, I found myself thinking of the band. As much as I didn’t want to change for them, I also didn’t want them to change for me. I really enjoyed the camaraderie I found in the band — more than I ever could have anticipated. It was a midweek respite from work stress; it was therapeutic, relaxing, great exercise, fun, and funny. I enjoyed their humor and one-liners — especially those that were gay-referenced. Although I was never offended, I didn’t want them to feel they had to censor themselves because I was in the room. I enjoyed them being themselves, as well as they’re including me as a member of the band — and I didn’t want to lose that — or them — if they knew about me. Standing in a circle, drones resting against our left shoulders, breathing into the bag and then squeezing to maintain a steady sound, fingers using muscle memory for each note, it was clear that the sexuality of the players didn’t matter. Memorizing tunes, perfecting taorluaths and birls and doublings, band cohesion — that’s what mattered. And for the sake of cohesion, there was unconditional acceptance — which makes me believe that other organizations, political parties, states, and nations can learn a thing or two from a band of pipers. I can go on and on about pipes, but this post is beginning to seem as long as the NYC St. Patrick’s Day Parade, where I will again proudly play as a piper who happens to be gay. 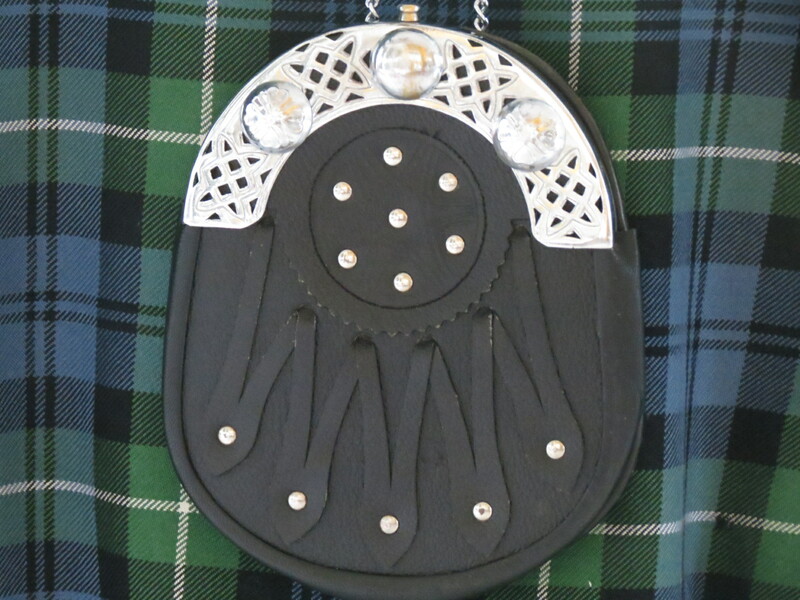 I can add paragraphs that speak of the cultural celebration and the tribute to my heritage, but I would rather devote the final words to the accessories. After all, I’m gay and I happen to play bagpipes. As much as my March weekends are no longer devoted to yard and garden duties, they do give me a chance to dress up in the uniform of my band: Ancient Lamont tartan kilt, white shirt, black tie, black jacket, hose (socks), flashers (hose accessories), belt, sporran (pouch), ghillies (shoes), glengarry (hat), sgian dubh (knife). The outfit practically encourages a sort of swag and sway — just to get the kilt in motion. 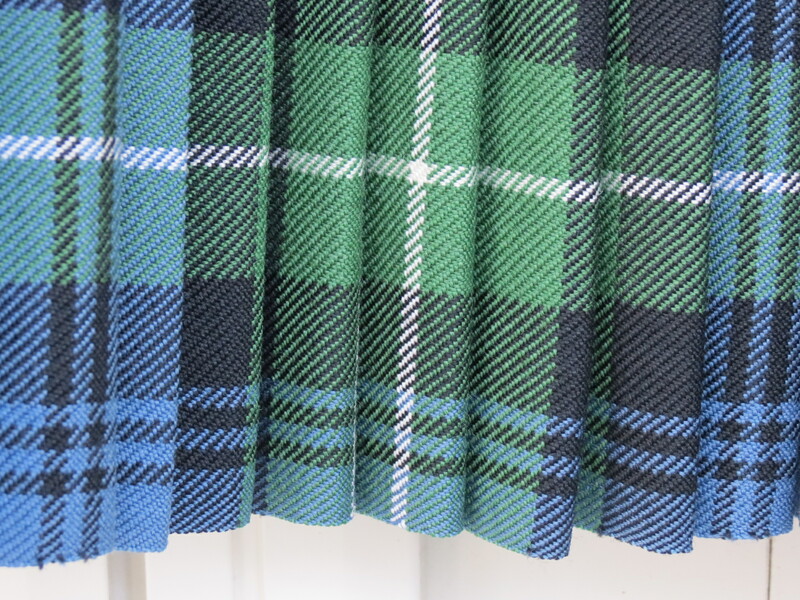 It’s then time to get in the car, making sure my pleats aren’t crumpled, and drive to the day’s parade location. There, I meet my band of brothers and sisters. Tune up. Parade. Play. I’m sorry you won’t be able to attend this year, you obviously enjoy piping very much. I’m always surprised at how much I enjoy standing in a circle with other pipers and just playing. It’s very soothing. Such a great story, thank you for sharing. Thanks, Plumdirt. Have a Happy St. Patrick’s Day! You are such a sensitive guy. I like that about you. I am sure as much as you miss the parade and your friends there, it will always bring you fond memories. Hi Alesia. Today is St. Patrick’s Day and I’m thinking of what I would be doing if I were in New York. My only consolation is that it’s much warmer in South Florida. Happy St. Patrick’s Day! Hi Debra. We are kindred spirits! There’s a good chance that there is a pipe band in your area — and if it’s like my band, lessons are free. Other bands in the area charge a very small fee. Of course, there is the tradeoff that you’ll have to parade. There’s nothing wrong with that in my book. Happy St. Patrick’s Day! I hope you handled being away today. If it helps, it was cold and gray here in NY today! Glad you are in a warmer climate. Hi Maria. I heard about the weather — and even if I was in NY, I don’t think I could have done it. The warm weather helps. Be well, my friend. The beauty of the details in the photos! 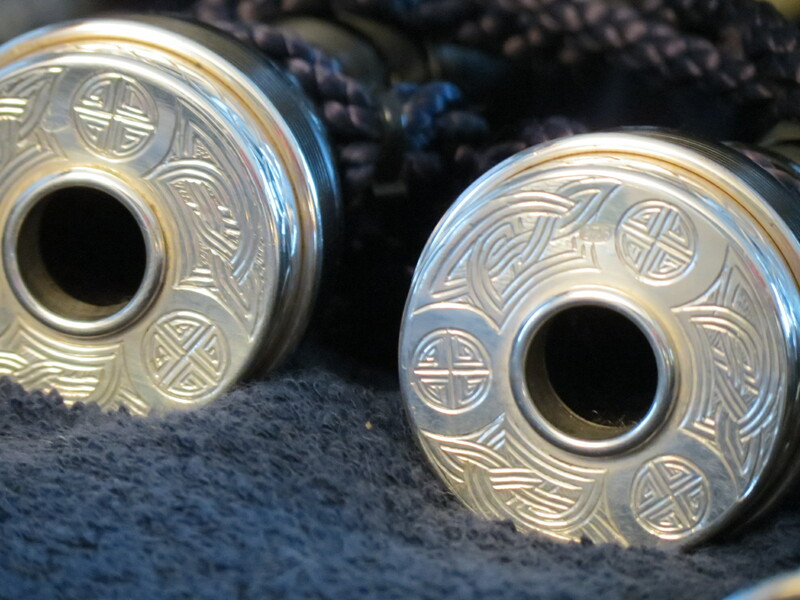 I love the sound of bagpipes. Usually there is a bagpiper at the top of one of the small hills in the local half marathon — great inspiration! Hi Kat. That’s one of my favorite sounds — to hear a lone bagpiper in the distance, and to have those notes travel. It’s very moving, and as you said, very inspirational. What a great group and great memories, though I know you must miss it. It reminds me of college, when my college’s lone bagpipe major would often practice in a field next to my dorm. I always enjoyed the sound! I hope you can find another welcoming group down South. Hi Indie — there are bands down here, but that means having to break them into me. 🙂 Nevertheless, I also love the sound of a lone bagpiper playing in the distance . . .
Hi Flavia. I’ve had the same thing happen to me in WP — and I can’t figure it out. I guess we’re all slowing down a bit. 🙂 Maybe WP could use some warmer temperatures.